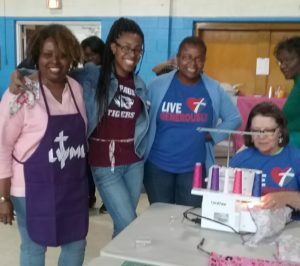 Pauline (at Machine), Bobbie Hawthorne begin a Dignity for Girls hygiene kits program. I was delighted to have 15 women present for the event. Everyone came with a heart to help. These kits take a labor of love! There is shopping for brightly colored cottons and flannels. 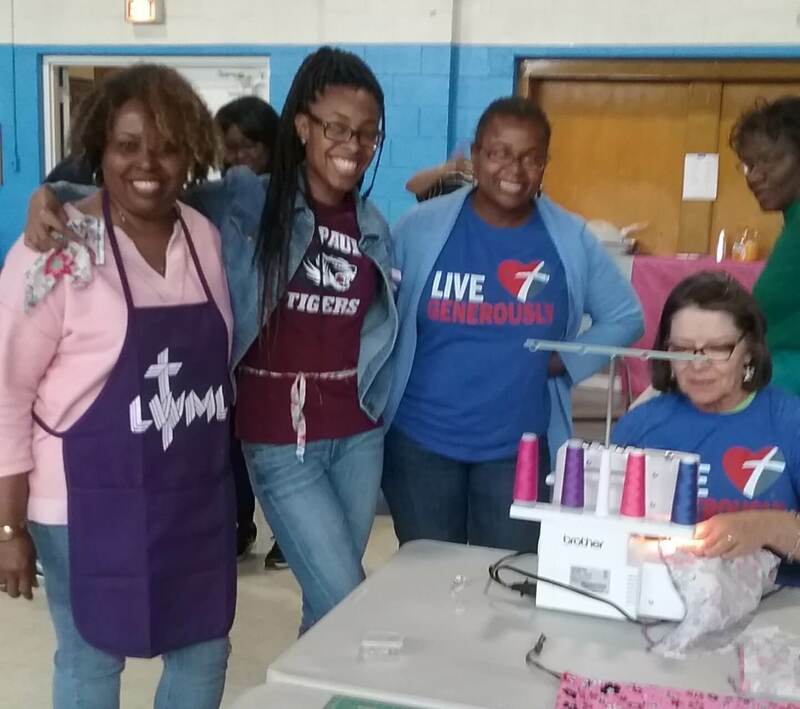 Plus washing, drying, ironing, cutting the fabric and using a serger or sewing machine to create shields, liners and bags. Followed by quality checks to assure the girls will have use of the items for three years. (Days for Girls™ patterns, guidelines and checks are strictly followed.) Then more shopping for the pieces that are typically not sewn (washcloths, underwear and Ziploc™ gallon freezer bags). A goal was set, and we started cutting and sewing. Pray that the Lord will bless this group to fulfill their plans. I am looking forward to another training event at Emmanuel, Dwight on November 11.